Greg Bell 6-0 205 Jr.
Brody Belt 5-8 185 Fr. Jaylin Bradley 6-0 210 So. Tre Bryant 5-11 200 Jr.
Austin Hemphill 5-11 225 Jr. Miles Jones 5-8 175 Fr. Wyatt Mazour 5-9 200 Jr.
Devine Ozigbo 6-0 235 Sr.
Austin Rose 6-1 240 Sr.
Connor Ruth 5-11 205 Fr. Maurice Washington 6-1 190 Fr. Mikale Wilbon 5-9 220 Sr.
"We’ve got some good depth at the running back spot and that gives me a lot of confidence," Nebraska coach Scott Frost said at Thursday's fall camp press conference. "I think several guys had good springs. We need to stay healthy there, too." Depth could have been a concern at the running back position this fall. It was rumored that senior Mikale Wilbon might depart, the status of freshman Maurice Washington was unclear until this past Wednesday and the health of junior Tre Bryant's had been in question. Nebraska could have been in trouble at the running back spot. Instead, it's anything but. 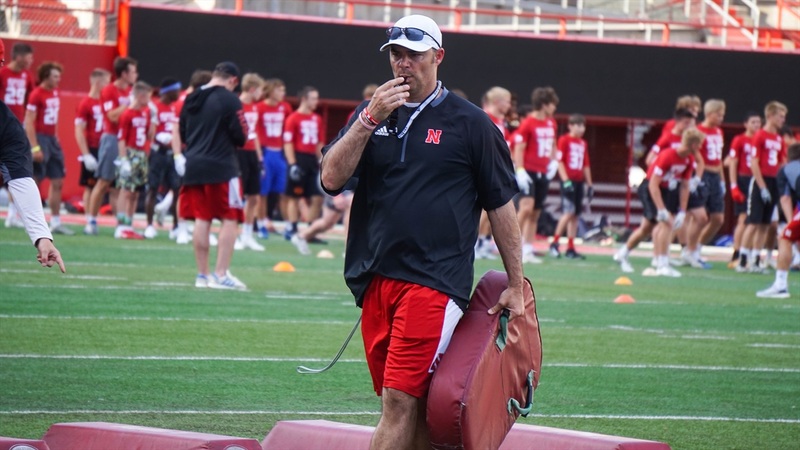 Frost confirmed Thursday that Wilbon is a part of the 110-man roster heading into fall camp. Washington was cleared by the NCAA to be immediately eligible this fall. And then there's Bryant. "He’s looking super-healthy," senior running back Devine Ozigbo said at the podium Thursday. "He’s definitely getting on that good path before be left (for break), but coming back, talking to him and seeing him move, he definitely looks good. Yes, Bryant appears to be on track to play this fall. It's good news, too. He has potential to be a major factor in Frost's offense. Bryant rushed for 299 yards on 51 carries in his two appearances for Nebraska in 2017. He opened the season with 31 carries for 192 yards against Arkansas State. He then had 20 carries for 107 yards, including a five-yard touchdown, against Oregon before leaving with an injury. And if the running back room wasn't crowded enough, fans can also expect to see true freshman Miles Jones split his time between slot receiver and running back. The competition could be discouraging for the seniors of the room. Wilbon and Ozigbo have their work cut out for them if they want playing time this fall. "I'm just trying to get myself to be ... I'm my biggest competition," Ozigbo said. "That's the attitude I go in with. I want to make the guys around me better but as long as I can continue to get myself better, I feel like I'm doing my job." Held's advice for the seniors is simple, too. "I told them that being seniors, they need to be the leaders of the group," Held said on 'Sports Nightly.' "They've earned the stripes through the years of being in this program. What I see is they can run the football. I mean, they can. They're physical, they're strong. Weight-room-wise, I have no qualms about anything about them." With that said, Held knows Nebraska's offense is a lot faster now than the seniors are used to. He feels they picked it up fairly well through spring, but now he's ready for the veteran players to put what they've learned into motion this fall. It's ultimately not about how long a player has been with the program for Held. He values those who have paid their dues but he's there to sort out who fits where and how often regardless of their history. Sorting it all out may come down to one primary factor. "At the end of the day, I need a guy that's consistent and that I can put out there on first down, third down — it doesn't matter — and be able to execute the offense," Held said. Sure, Nebraska's running backs room is a bit crowded. It beats the alternative, though. It'll also make things even more interesting during fall camp.